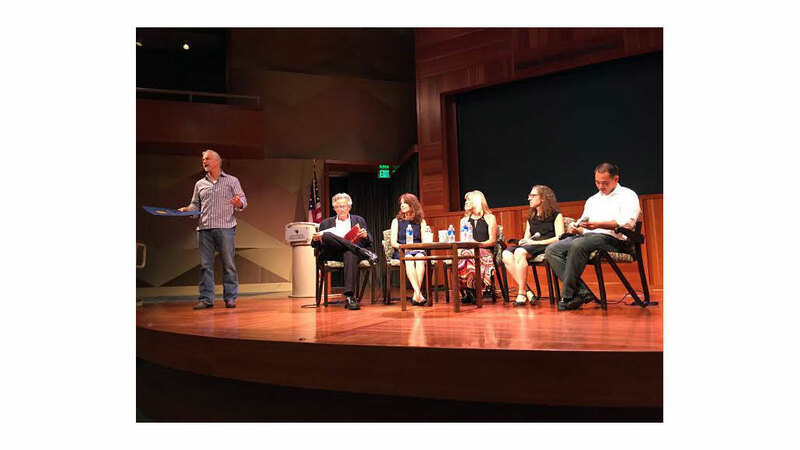 Keith Jeffreys of the United States Veterans’ Artists Alliance organized a screening of SERVICE at the beautiful Los Angeles Central Library just days before its debut on PBS. The screening was followed by a discussion with four panelists: veteran artists Thomas Dang and Joan Pahoyo, and our very own Emily Zaiden (Director, Craft in America Center) and Pat Bischetti (Producer, Craft in America). We were proud to share the film in our homebase and hear the responses of local veterans, who spoke vehemently about the importance of craft and healing. Lastly, thanks to the Los Angeles Central Library for being such a wonderful host!